Bought a 2000 Toyota MR2 from Johnstons Toyota in New Hampton, NY. The paint began to bubble and peel from the rims. The MR2 was NEVER driven in the snow or salt. The service manager refused to replace or repair the defective rims. He said the problem was "environmental" (A new one for your excuse page). 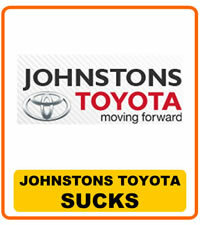 Dealing with Toyota USA was a big waste of time.